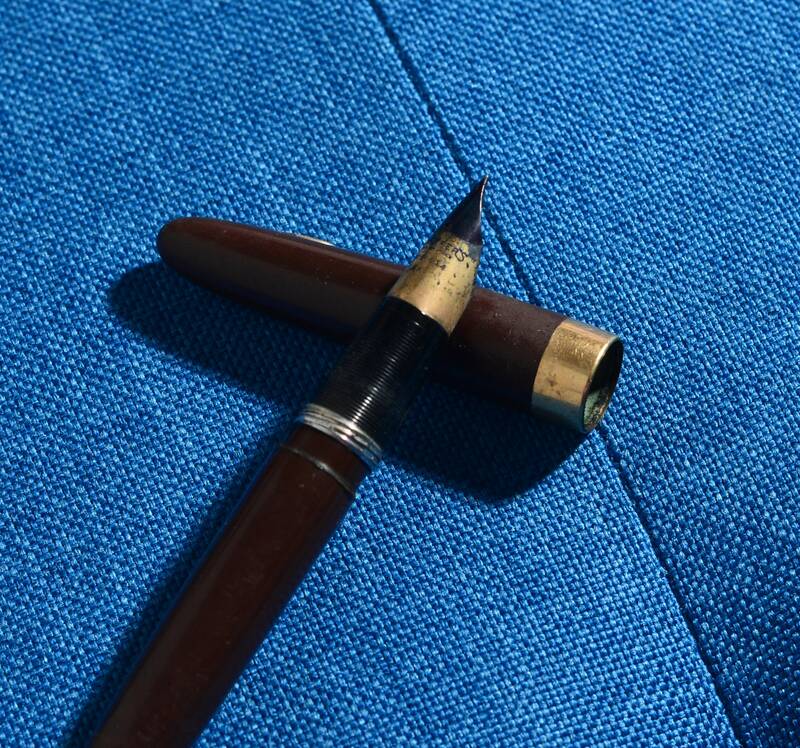 I am not a fountain pen person and rarely actually purchase them but found two in a box lot at recent sale and am listing them. 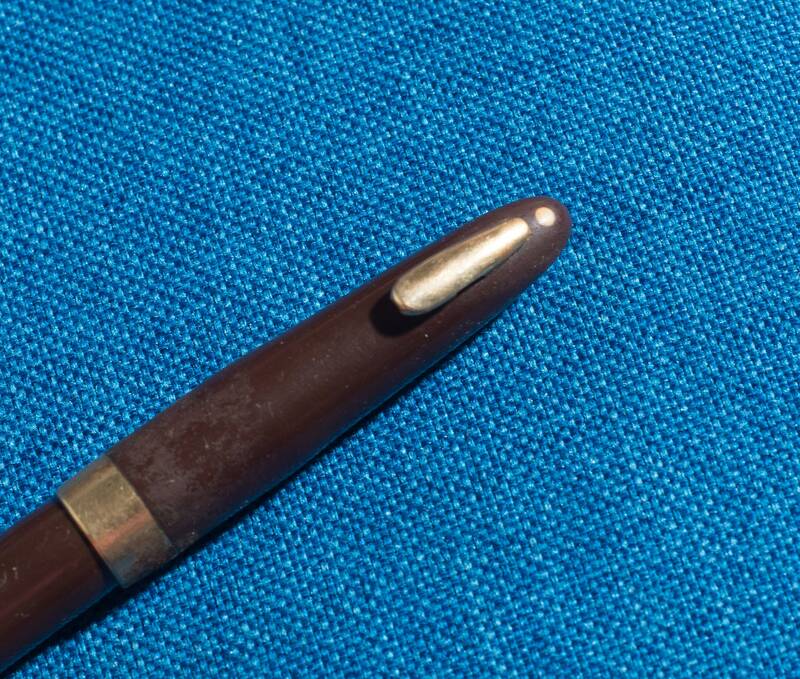 This first pen is Marked WA Sheaffer, Fort Mason Made in the USA on the brown plastic case, the nib is marked Shaeffer US Patent office 14K. 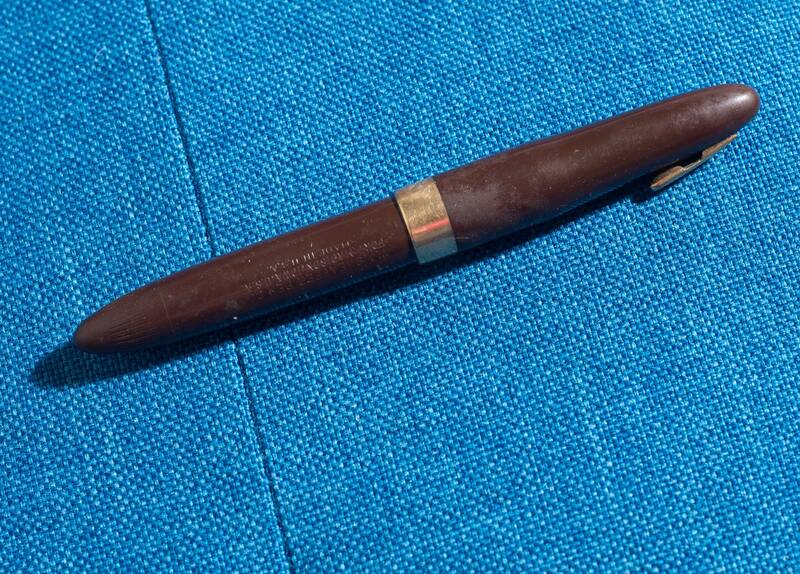 The pen is short 4.5 inches long gold band at join has wear the small gold clip appears to be complete. The plastic has some roughness but does not seem to be cracked or broken. It is a dark chocolate brown. 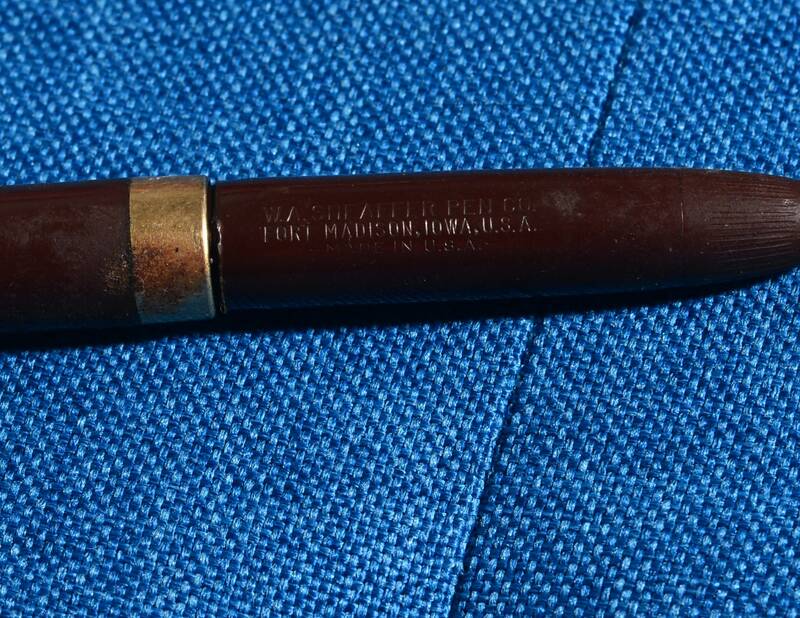 Marked wA Sheaffers Fort Madison Iowa Made in the USA . I do not see a model number. 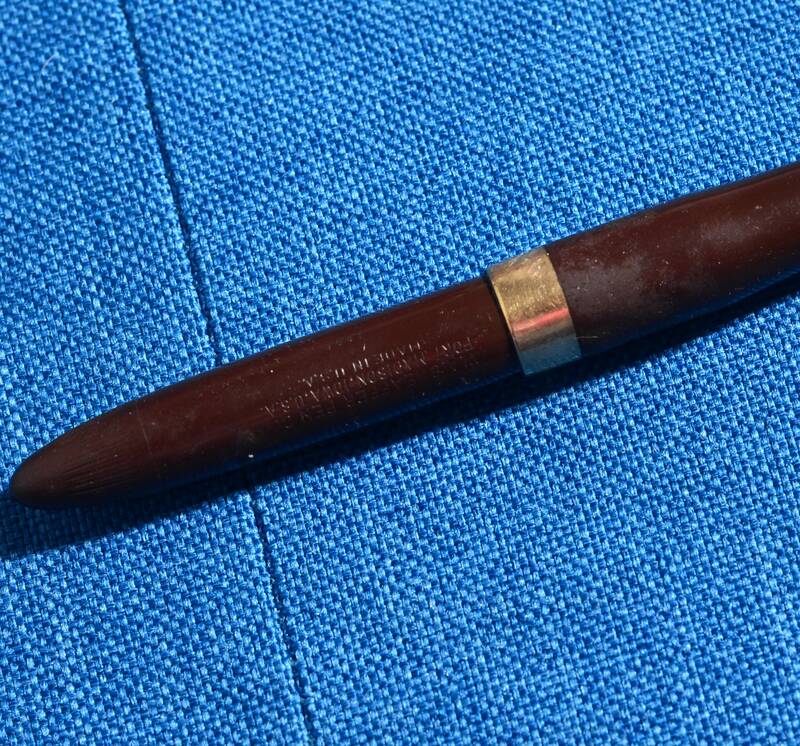 I think this is a PFM Pen but again not positive. I do not know how to dissassemble so have not removed nib to see how it fills. The pen is very nice. It cleaned up well and has been repaired.